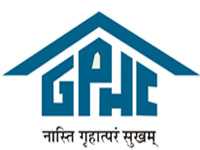 GPHC Engineer Civil/Electrical Answer Key Paper 2018, GPHC Answer Key 2018, GPHC Solved Question Paper 2018 exam held on 22nd July 2018 – Gujarat State Police Housing Corporation Ltd (GPHC) has successfully completed written exam on 22nd July 2018. Candidates who have appeared GPHC Engineer exam they all are waiting for Answer Key Paper 2018 and Solved Question paper to determine the total score of the exam. Official answer key will be updated soon. Here I am sharing GPHC Civil Engineer Question paper 2018. The canal in a farm is known as? Which method of canal design uses silt factor? Which of the following equipment is used for sounding? Which of the following may be a prime cost item? Which of the following is not a valid surveying practice? The line passing through points of equal declination is known as? For the purpose of air circulation which door is provided? Which compound has a maximum percentage proportion in cement? For rolling fine-grained soil such as clay following roller is used? Zeolite process is used to? The detection time for the design of grit chamber is? Which of the following are considered as outgoing? Windows provided in the sloping roof for the purpose of providing air and light is? Which kind of stone is marble? Which kind of roof truss is provided to have maximum daylight?